Last year farmer Luc’s lake was not looking healthy enough for his liking. Most of the fish in it had died and much of the lake’s surface was covered with weed. Mind you, it did support a large population of damselflies and an utterly enormous population of frogs, despite Marcel (Luc’s father) trying to trap them for the plate, which sang more or less constantly all night long. We find the frogs’ singing acts like a lullaby and sends us to sleep though other campers have disagreed rather strongly. Luc made an arrangement with a local pisciculture man who has a fish farm near Bram just a few kilometres away. He has stocked the lake with some enormous Grass Carp that cruise around resembling nuclear submarines eating the weed. The fish man, in exchange for this service, breeds Koi Carp in Luc’s lake. There are thousands of the tiny beggars which, when a little bigger, he will take out, grow on and sell, Koi being quite valuable fish. 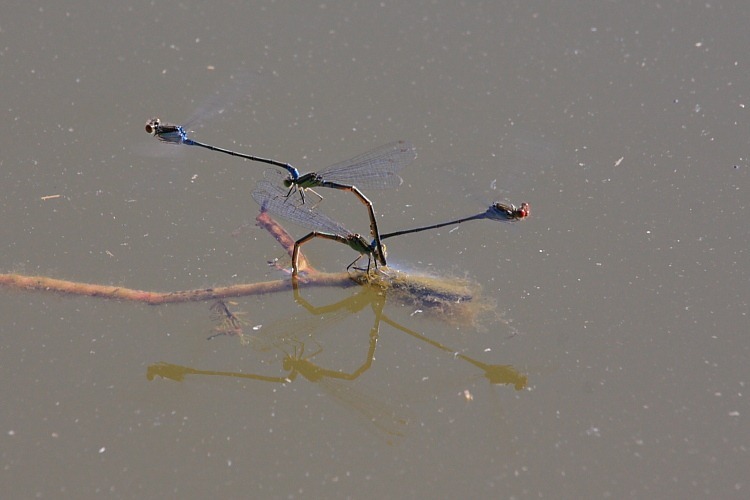 A related concern is the effect of fish predation on the damsel and dragonfly populations. 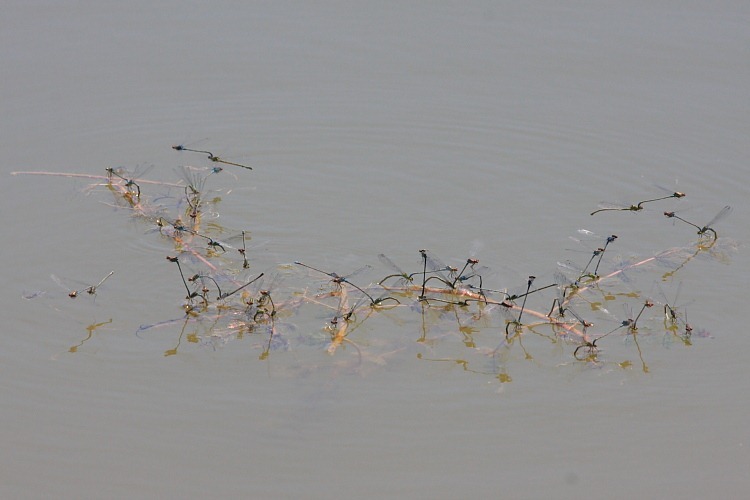 Both eggs and larvae are eaten by fish and, given the numbers of fish in the lake at the height of the dragonfly breeding season, I’m wondering how many will successfully mature for the coming years.